Tom Clancy's Ghost Recon Wildlands is a game that sort of caught me off guard. After all, a tactical shooter doesn't often collide with an open world game. 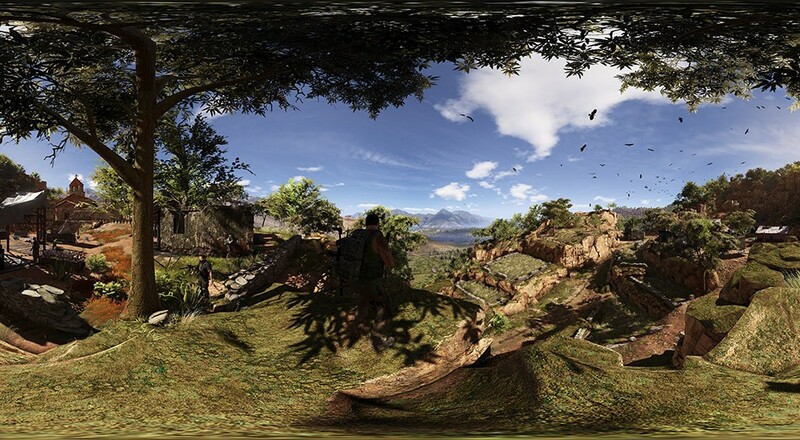 Though past games were more realistic, Wildlands often has more in common with a game like Mercenaries or Just Cause than its predecessors. The Santa Blanca drug cartel and its leader, El Sueño, have taken over Bolivia and it's up to you to take down their power structure lieutenant by lieutenant. Each province has its own target to take out, and you'll have to explore, collect intel, and complete a series of missions to unlock the final mission to take them out. The main draw of Wildlands is the promise of teaming up for freeform exploration of the staggeringly enormous open world that Ubisoft Paris has delivered. For the most part, they've delivered. With few exceptions, you're given the freedom to execute your objectives however you please, and there are plenty of tools to complement your chosen playstyle. For my part, I chose to specialize in sniper rifles, explosives, and the sweet drone everybody gets to use. I preferred to take the silent approach whenever possible, and I've been fairly successful so far. The drone is especially fun to use, as it lets you whiz in and out of enemy strongholds, spotting targets and using the Sync Shot system to prioritize them. The shooting is on the more arcadey end of a tactical shooter. While you'll drop most enemies with a well placed shot or two, you can take quite a beating before going down (on the default difficulty). Bullet drop isn't too severe from long range, either. You can ramp up the difficulty to the point where you will also be killed in one shot, but the game encourages an amount of chaos that I don't think jives too well with that. 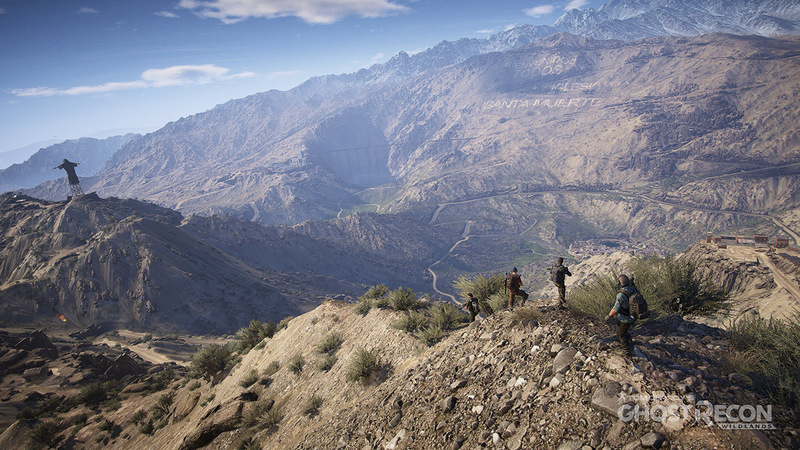 Wildlands wants you to play with others. It constantly reminds you that matchmaking is a button press away. The main menu of the game surfaces your friends to invite to a squad before you even load into the map. It's inescapable. It's glorious to play with friends. Matchmaking is smooth and all of the progress you make in a friend's game is carried back to yours. While preparing for this review, I was pretty consistently rolling with Nick in my squad. We played missions however we felt. For one, we slowly and surely infiltrated a UNIDAD base. We called our shots and took enemies out systematically. We used all of the stealth tricks and distraction tools we had. It was flawless... until we missed one shot, which alerted the remainder of the base, and everything ended up in a full-on firefight, complete with frantic car chase to escape with the payload we were stealing. In another mission, we had to infiltrate a heavily-guarded manor. I had the idea to fly a helicopter nearby to scope it out from above, then we could parachute out, land on the nearby ridge, and snipe ourselves a path. Nick decided to land on top of the mansion. Everything went pear shaped. I managed to draw the fire of nearly an entire militia away from Nick, and he snuck inside to complete the objective. In yet another, Locke joined Nick and I for a forced-stealth sequence where your squad cannot be seen, lest we instantly fail. With Locke acting as a spotter, I sniped a path for Nick to sneak through the town. We failed a couple times, but ultimately figured out the best way to handle some of the surprise patrols. What began as a bit of a frustrating experience ended in masterful execution. The story missions are fairly well put together and enjoyable, but the most fun we've had was when we decided to go on a full rampage through the game. 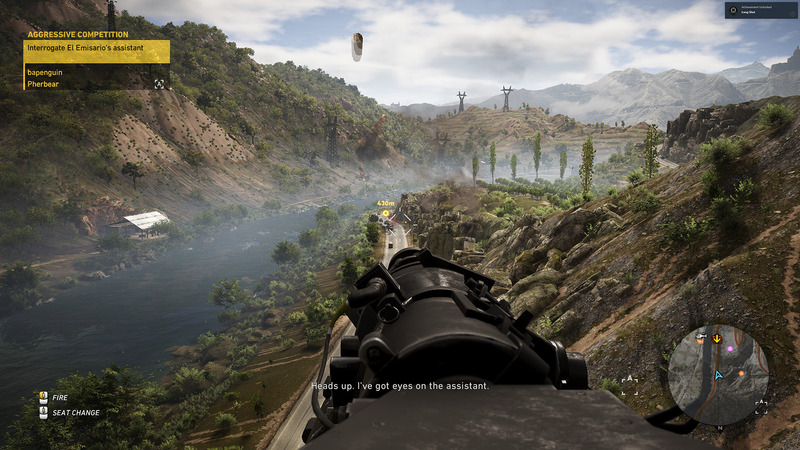 Driving vehicles down the side of a mountain is pretty great, as is stealing a helicopter and laying waste to enemy strongholds via minigun or dropping C4 and grenades onto the cartel members below.